I believe that there is such power in seeing your birth in photos. 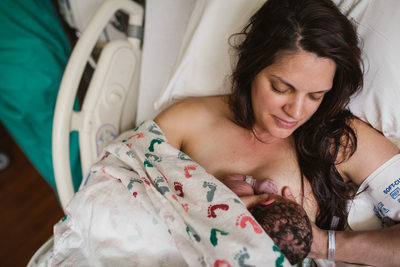 Your birth story is one of the most important stories that you will continue to look back on for your entire life. Your story matters and will be a tale you tell in the first months, first years and when you are a grandmother talking to your grandkids. 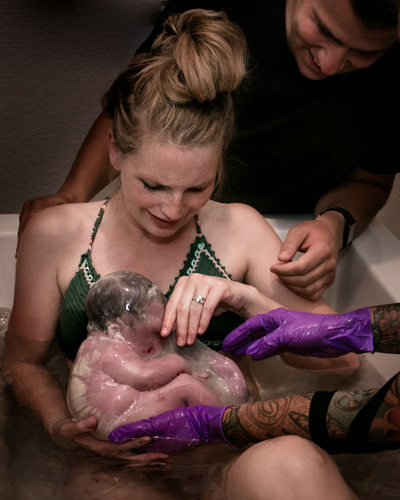 I know that when you are able to process your birth with photos, the big moments come together in a way that you wouldn't be able to do otherwise. I tell this to all my clients because no matter how your story unfolds, your birth (each one) will transform you. 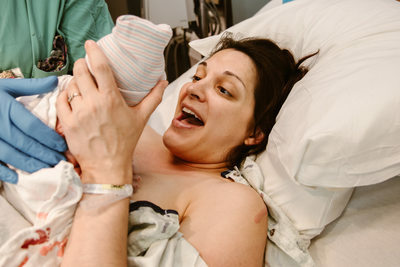 As part of your birth team I get called in once you are in active labor and stay for around an hour or so after your baby is in your arms and we get all your new baby stats documented. 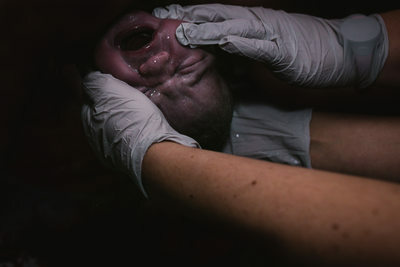 Check out my Birth FAQ's for more information about birth photography. A first 48 session is not a glamorous newborn session. It's not props or wraps. 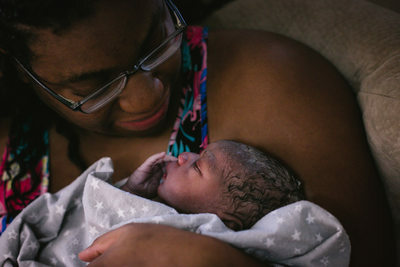 It's about those special first moments of new life. 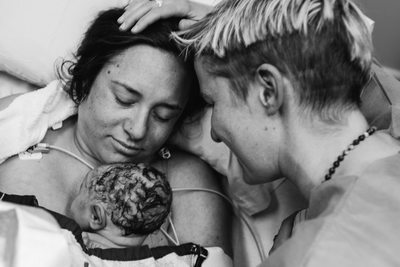 A celebration of parenthood, strength, and love. Where you wear your tiredness and scars like a badge of honor. Collecting memories of your sweet newborns tiny features, and squishy puffy faces that will all fade away in the next week. It's documentation of the huge amount of love that grows in a tiny 300 square foot hospital or bed room. Sometimes this session is the perfect choice.